We just thought we would round-up to 2017 as our second year has been really super combining work, pleasure and a sense of giving to those causes we feel strongly about. Our roundup gives us an opportunity to thank our valued customers for having faith in us to design their websites, sort out their SEO and digital marketing and to produce stylish and stunning print to enhance their marketing campaigns. Thank you for your support and, we look forward to working with you in 2018 and onwards. As we broke into 2017 we launched www.dementiafriendlyworthing.org and www.voguedrivingschool.co.uk and supported both organisations with online marketing, SEO and social media campaigns. During the year new leaflets and pop-up banners were designed for Worthing Dementia Action Alliance to support the community in becoming a dementia friendly town. As a dementia-friendly business, we were instrumental in organising the launch to businesses at the Worthing Leisure Centre in March. During the first week of January, we rebuilt a care consultant’s website within days following a hacking. Thankfully we were able to piece it together and we now managing her account and keep an eye on those WordPress plugin updates that need constant attention. We helped Sophie Lewis, Newhaven Youth Mayor and engineering student at Newhaven UTC, with ideas for her App project for the young people of Newhaven. In February, we exhibited at Worthing & Adur Chamber of Commerce’s Better Business Show and spoke to many people interested in web development for start-ups and our free website audits. February also saw us involved with the online marketing of the Seahaven Business Awards. We designed and managed the 30th Anniversary for the Bengal Palace Restaurant in Seaford, designing signs and invitations; planning the celebratory event in April to which over 80 VIPs and guests attend a fabulous dinner at the restaurant in Seaford. The successful event raised their local profile and no doubt added to their successful achievement as Best Eatery in the Seahaven Business Awards. Living and working in such a vibrant community we took part in We Spring Forward a festival celebrating women working in the digital industry; visited BITE a conference for tech and business organised by MHA Carpenter Box and rocked up at the ever successful BrightonSEO. Spring sunshine on the office window meant a rescue for a Great Spotted Woodpecker who was suffering from concussion. We keep him quiet for a couple of hours until he was able to fly off to feed his offspring. Talking of flight there were some great networking meetings such as the 1930s architectural gems of Brighton City Airport and, at the other end of the scale, the super shiny British Airways Eye 360. Networking also took us to a host of fabulous hotels and venues in and around Gatwick and Crawley with Gatwick Diamond Business. 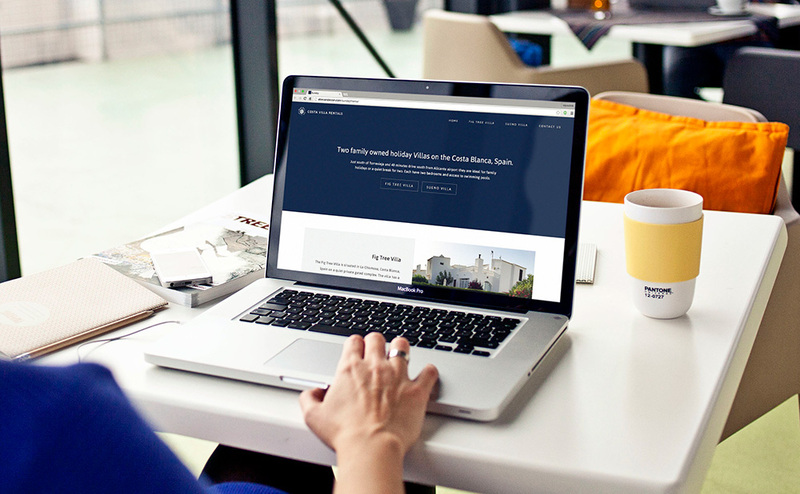 We worked with Storganise Ltd on their new website which launched early June and got them off to a great start with their business social pages. At the last moment, they required new brochures designed and printed for Meet the Buyers and, we managed that as well with time to spare! As members of Newhaven Chamber of Commerce, we photographed the building of their raft from conception to launch. It was a monumental feat of engineering and camaraderie and great fun was had supporting the team in their adventure with hundreds of images and videos. In July we were asked by one of Worthing’s leading charities, Guild Care, to write, design and produce their annual review in time for their AGM in October. The end result was well received and can be downloaded from their website. We were also consulted on a number of unfinished marketing projects and have been supporting the charity regularly since last summer on both digital and traditional marketing campaigns. In August the camera was busy again at a special wellbeing afternoon put on by South Downs Leisure of Worthing. Field Place was perfect for persuading the Town Crier and the Mayor to play ball! We attended the Horsham Business Show and Met the Buyers at Gatwick; we picked up Newhaven Chamber’s Oscar twice and, it’s replacement the new Chamber Chalice. We manage the SEO and social marketing services for Kenads Printers, Abbeyfield Ferring, David Jordan Estate Agents, Arrow Tyre Services, Newhaven Chamber of Commerce, Quality Management Projects, Bengal Palace Restaurant, Elements Health and Wellbeing, MotorlineUK and Vogue Driving School. Our design and print work this year has included work for Simon Marks Recoveries and Legal, Treasured Memory Books, Guild Care, Storganise Ltd, Bengal Palace Restaurant, Easy Tone Fitness and Relative Matters Ltd.
Website development and consultancy work have also included MotorlineUK, Relative Matters Ltd, Prof. Liz James of Sussex University, Lansdowne Nursery, Southdown Access and Biz Monkeys. Towards the end of this year, we launched www.kemcoplumbingandheating.co.uk for a London plumbing and heating company and www.formabuild.co.uk which is a new company undertaking steel-framed agricultural and commercial buildings as well as period property restoration. We are looking forward to 2018 with three new website well underway and lots of exciting projects two work on with new and existing clients. Wishing you a happy, healthy and successful 2018 from Julia and Oliver at Fine Marketing.